This case describes a study conducted by students in which a number of ethical issues arise, including the treatment of research participants and the supervision of student research assistants by faculty. By examining the way in which the study was conducted, students explore the basic principles of good experimental design. 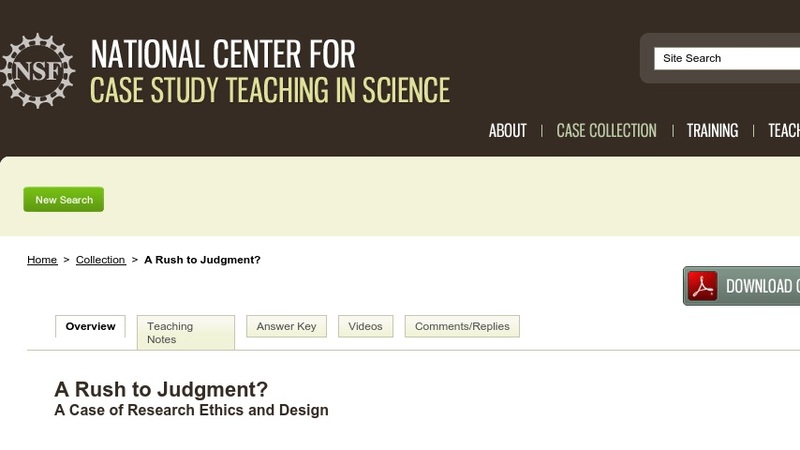 The case was developed for a sophomore-level research methods course as an introduction to research ethics and design. It could also be used in an introductory psychology course or other introductory-level science courses to illustrate the research process in science.